When we think and talk about food safety, an important factor is often ignored. Consumers, media, regulators and industry tend to focus on the product and not on the safety of its packaging, but packaging is a critical component in the overall food safety process. Now more than ever, as food distribution networks globalize, packaging plays a vital role in ensuring the final product is safe and secure for consumption. Most manufacturers are aware of the impact of faulty packaging on their businesses. They know that malfunctioning packaging and mistakes in the supply chain affect the quality and integrity of their product. All take steps to provide products that are safe and secure to the end user. To improve on this and drive a better business outcome, companies must first realize why crises in packaging occur, and then take steps to prevent them in the future. There are several factors that all manufacturers should consider in building a defense against packaging failures. First, review the packaging and manufacturing process. Second, address the human error factor. Finally, review the supply chain and ensure that raw materials and value-added products that contribute to your food product are meeting international standards. 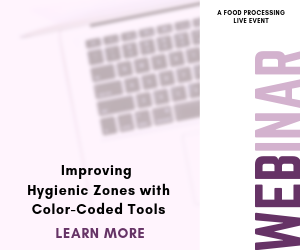 Contamination and mislabeling risks at the packaging manufacturing stage are often overlooked because the emphasis on food safety usually lies in the preparation of the food itself. Food safety management systems, however, can only do so much to protect end users. The only way to shore up defenses against an outbreak and mitigate any failures in packaging labeling is to review and prepare against the factors at play in the packaging process, and ensure that manufacturing practices are adhering to all safety and quality standards. For example, the hygiene of the environment in which food packaging is manufactured plays a part in the food safety process. This has a direct impact on the safety of the food it is intended to protect. An adverse health outcome can result from incorrect labeling (a missing detail on the list of ingredients) or a jar lacking a proper seal. Materials also matter. The inks used for printing must not contain dangerous substances that may migrate through the packaging and into the food. The type of food can affect this, such as high-fat foods like cheese. Similarly, when using laminate films, all layers must be food-safe and stop the migration of hazardous substances into the food. Take the simple glass bottle. If not manufactured correctly, it can contain mold deformations, sharp shards of glass inside and out and blister-like formations. Additionally, the coatings on the glass can affect the way jars of food run on a production line. A lack of proper coating could cause a jar to stop a production line from running, costing time, money and resources. All of these aspects need to be adequately managed through a series of on- and off-line quality control practices. Unfortunately, incorrectly labeled packaging is often the chief reason behind product recalls as a result of packaging error. This is typically due to a failure to declare potential allergens in the food product itself. This issue is already being addressed by industry. Some of the world's largest consumer packaged goods companies have banded together to form the Food Safety Alliance for Packaging (foodsafetyallianceforpackaging.com), a technical committee of the Institute of Packaging Professionals. The initiative has already developed hazard analysis and critical control points (HACCP) models for packaging materials in the categories of cartons, rigid plastics, cut and stack labels and composite cans. With respect to human error in the food packaging process, there is a variety of improvements that can be undertaken. First, organizations must make sure that anyone that interacts with food and/or its packaging is well-equipped with knowledge of personal hygiene, washing and the sanitization of equipment, utensils and surfaces and an understanding of the consequences of malpractice. The best way of achieving this is by instituting a training program that is tailored to the individual company's culture and employees, taking into account the unique risk context of the food preparation and packaging protocols. International food safety standard awareness training, such as HACCP, helps identify hazards and control points for staff, providing another level of safeguard. At a broader level, regular microbiological tests and clear sickness policies must also underpin an approach to vigilance on education, as diseases can easily be transferred onto food packaging through physical contact. By risk-assessing the packaging supplier in relation to its products, processes and customer base, a manufacturer can ascertain the level of food safety risks associated with a particular supply chain and packaging material. Risk assessments allow for an allocation of different levels of due diligence requirements that suppliers must adhere to and provide any early red flags in the food packaging process that might pose a safety risk. In the fall of last year, there was a number of packaging standards that were benchmarked against the Global Food Safety Initiative (GFSI) Guidance Document, 6th Edition, which includes Good Manufacturing Practices associated with packaging materials intended for food use. These standards include, for example, British Retail Consortium (BRC), FSSC22000 and the Safe Quality Food (SQF) program. The GFSI programs are designed to build a “due diligence “defense throughout the supply chain that is not limited to just the food safety of the food manufacturing process. Larger international manufacturers such as Coca-Cola are now mandating that even their packaging suppliers be GFSI certified. To show the importance such manufacturers place on the food safety and integrity of packaging materials, Coca-Cola was involved in the development of Publicly Available Specification 223 (PAS223) Prerequisite Programs for packaging materials as part of a GFSI approved FSSC22000. PAS223 Prerequisite Programs were developed to specifically address food safety for food and drink packaging design and for use in conjunction with ISO 22000, the international management system for food safety across the supply chain. Unfortunately, there is no silver bullet. Outbreaks and recalls can happen for an incalculable number of reasons during any point in the food packaging process. Through preparation, awareness of risk factors and potentially having a globally recognized food safety standard applied to your packaging materials, you can increase your stakeholders' confidence in your products and prevent a potential future catastrophe before your business is impacted forever. Craig Casillas is vice president of management services at TÜV SÜD America. TUV SUD is a globally recognized testing, inspection and certification organization for a range of industries worldwide. Email the organization at info@tuvam.com.